I never thought I would describe a bird as cuddly but this fellow fits that description! This sociable cockatoo LOVES to be petted and scratched and talked to. And he talks back! You can visit with him at Govinda's, the wonderful vegetarian restaurant and center of the India community in Tucson. I'm so glad that this beautiful bird was raised in a friendly environment because that makes him a people-bird! 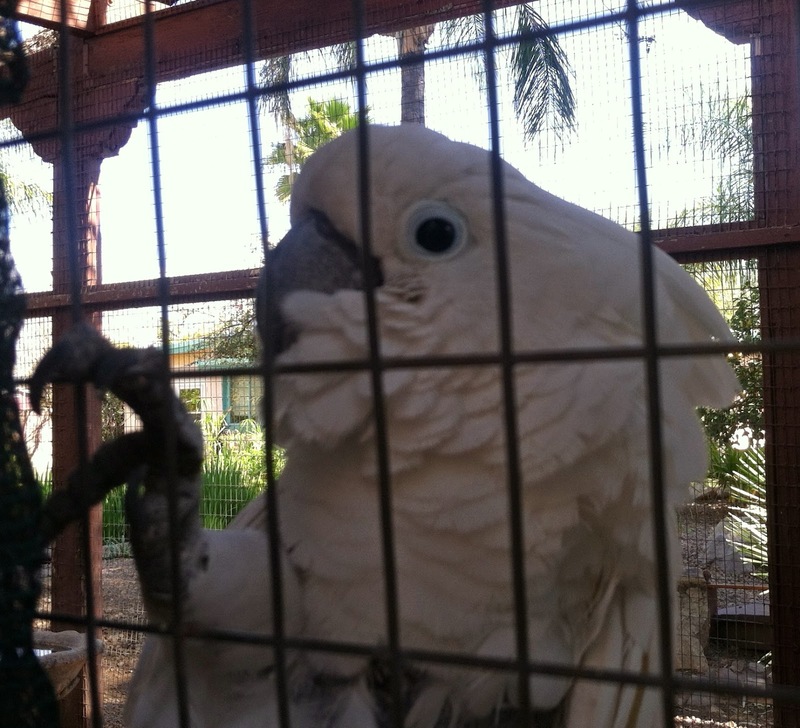 He doesn't want to eat you (those beaks are HUGE!) and wants to be part of the action by talking and getting pats! Did you find out his/her name? No, when we were there no one was around who could answer questions about the animals. Maybe the Hindus/Buddhists don't name their pets....? Now I'm curious to find out more!